When Thanksgiving is over and you have eaten your fill of leftovers, don't toss the turkey bones. 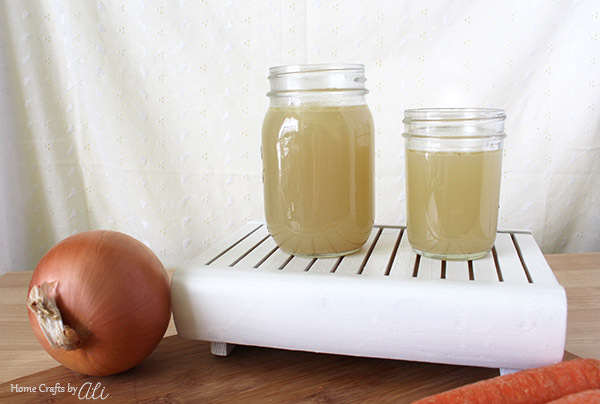 They are useful for making your own turkey broth or stock. Broth is not hard to make at all, and it tastes great. You can make a whole batch and use what you can that week then freeze the rest. 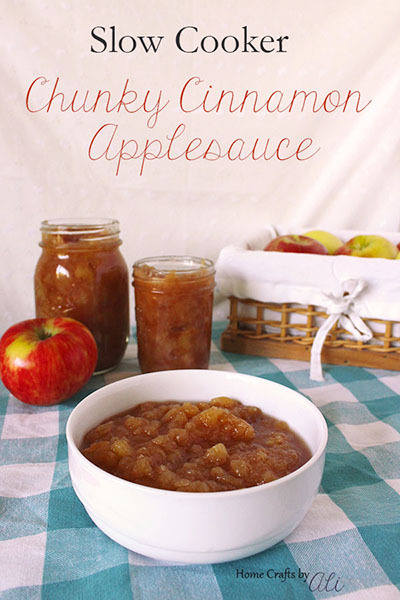 There are some recipe items that are easy to make at home, and they taste so much better. Broth is one of those things. I use chicken or turkey broth almost every week in the recipes I cook - I use it instead of water when making rice, it is great as a base for soups (like in Creamy Chicken Vegetable Soup or Stuffed Pepper Soup in Slow Cooker), and it's needed when you make your own cream of chicken sauce (like in Creamy Chicken Noodle Casserole). I love making my own broth because then I know exactly what is in it. No mysterious ingredients that you can't pronounce, just ingredients that will make your broth taste great. Welcome, welcome! Thanks for visiting during a break in your shopping. Have you gotten any great Black Friday deals? Hope your Thanksgiving was wonderful! Do you have plans to take a trip to Disneyland or Disney World? 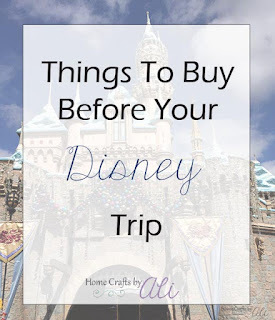 Check out my list of items to buy before you head to The Happiest Place on Earth. My list can save you quite a bit of money on your vacation! Are you planning a trip to Disneyland or Disney World in the near future? If so, there are some must-have items to buy before you head to the Happiest Place on Earth. Buying items at Disney parks can get expensive pretty quickly. While there are some experiences not to miss at Disney (Dole Whip anyone? ), you can cut down on costs by doing some shopping before you head to the park. I'm sharing a list of items you can purchase before your trip to Disneyland or Disney World. Happy Friday my friends! I don't know about you, but I am ready to relax and enjoy the weekend! What plans do you have? Are you getting ready to host Thanksgiving? Are you getting you shopping shoes ready for the lines on Black Friday? Whatever fun you have planned for the weekend, make sure to check out the great link up this week! If you have a love of books, these Unique DIY Book Storage ideas are just what you are looking for. One of the biggest challenges when you have a passion for reading is your ever-growing collection of books, and finding a place to put them. While it's easy to go to the store and buy a plain bookshelf, sometimes it's fun to have something a little bit more unique as book storage. You can start a DIY project and create (or makeover) a bookshelf for your home library. 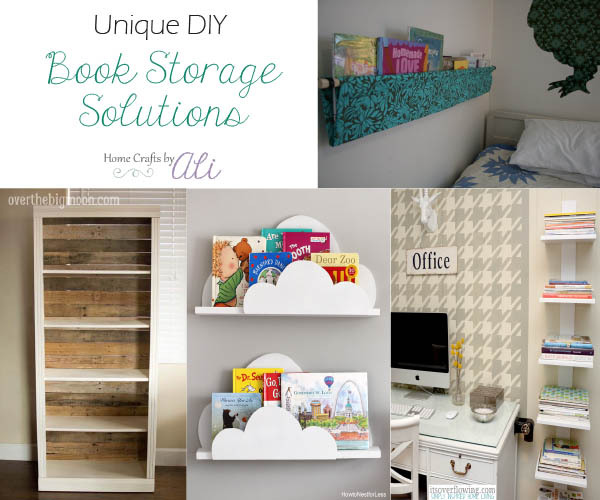 I have found interesting unique DIY book storage ideas to share with you today. Hopefully you will find one that will be just what you are looking for. Our home library grows quite often, which means we generally need to buy a new bookshelf. I get tired of the dark, rectangle bookshelves and wish that our books were displayed in a more eye-pleasing way. I searched the internet for unique ways you can design and build book storage. There are thousands of ideas out there, but I narrowed the list down to some of my favorites. It's finally Friday! The time to look forward to the weekend, some needed relaxation, time with family and friends, and checking out this link party for some new ideas. 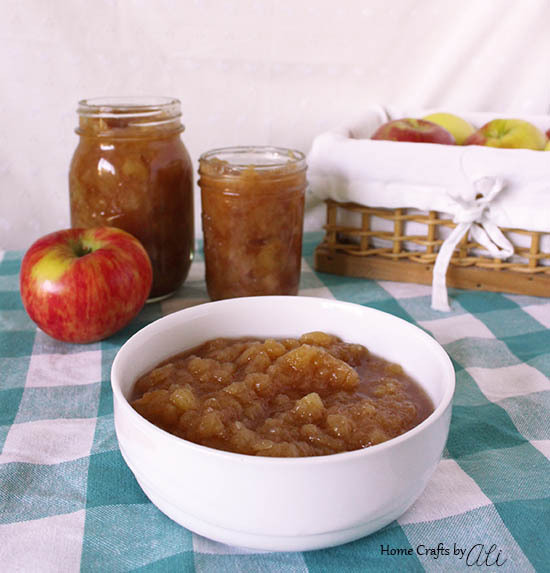 Thanks for visiting today so you can see delicious recipes, diy & craft projects, and advice. When the weather turns a bit cooler, it's nice to have a comforting meal in the evenings. 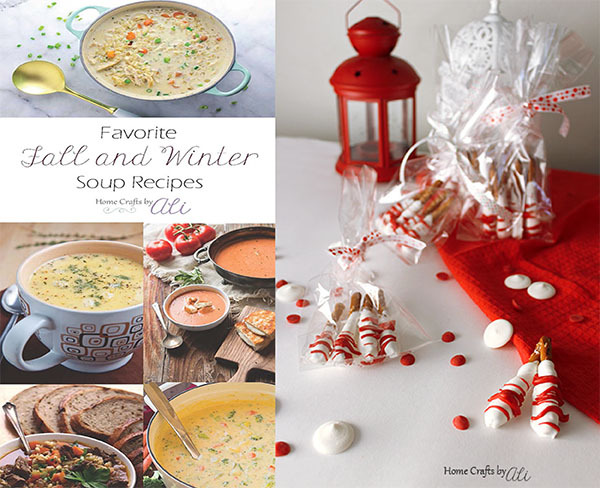 A bowl of flavorful soup will warm you up while pleasing your taste buds. 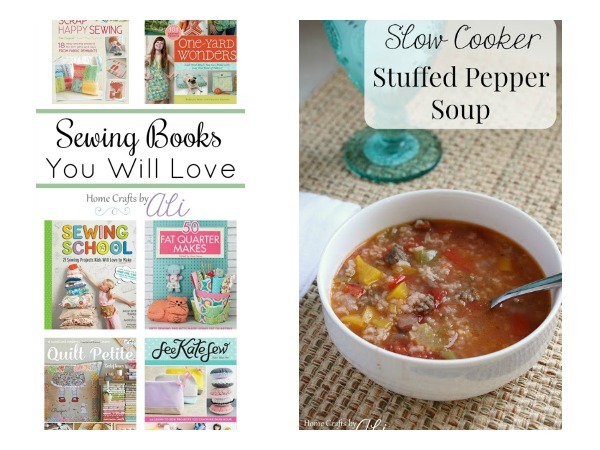 Add some of these tasty soups to your meal plans this fall or winter and you won't be sorry! When you cook soup, your home will be filled with the delightful aroma of the ingredients as they simmer together. There are soups on this list for everyone - when you add ingredients into the slow cooker at the beginning of the day, if you can add ingredients throughout the day, and recipes for those of us that throw together a quick meal. It's getting to be that time of year again....when you need to start planning what you will do for neighbor gifts or sweet treats at parties this holiday season. 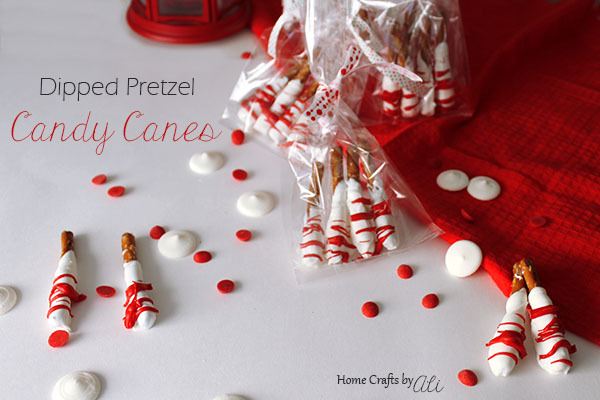 These Dipped Pretzel Candy Canes are so easy to make and really do taste great! During the holidays, we generally get 10-12 plates of cookies. Now don't get me wrong, my family loves cookies...and we even save a few to put out for Santa. It's nice to sometime have something a little different though. These salty pretzels and sweet melted candy mix perfectly for a treat that will please. Happy first Friday in November my friends! Halloween is behind us and we turn out thoughts to what we are thankful for and the upcoming holidays. 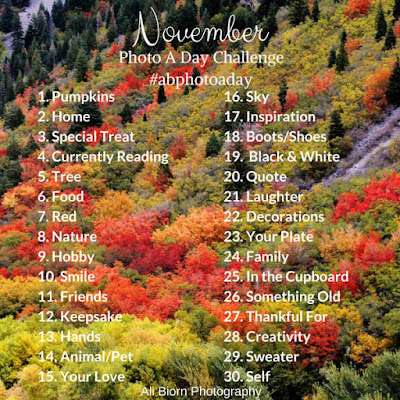 I hope you enjoy your weekend and find some great items shared at this Pinterest filled link party! The other day I was looking at a post I wrote a few years ago about Living a Grateful Life. It was just what I needed, both for recognizing those things I'm grateful for in my life and a reminder to let others know how much I appreciate them. Have your kids discovered the joy of making slime? Part science experiment and part toy with hours of enjoyment. 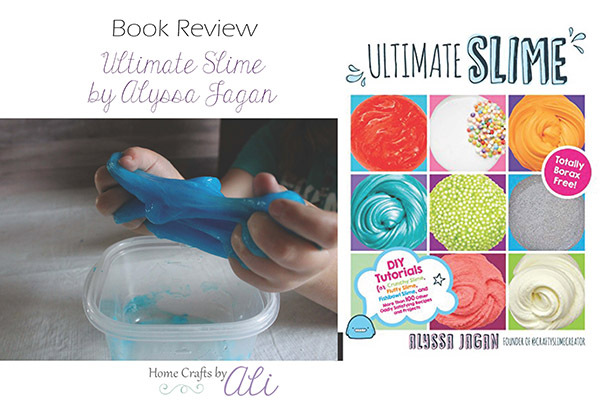 Today I have the pleasure of reviewing a new book filled with more than 100 tutorials of slime made without Borax so children can safely make them at home any time they want. Another weekend is almost here! Oh how nice it is to relax and spend time with family and friends! What fun plans do you have this weekend? As for us, I will be having a girls' night on Friday, a visit to the farmers market to buy some colorful heirloom tomatoes, then the weekend is filled with watching LDS General Conference (you can watch online here). I will also definitely make time to check out the great pins that are added to this link party too! 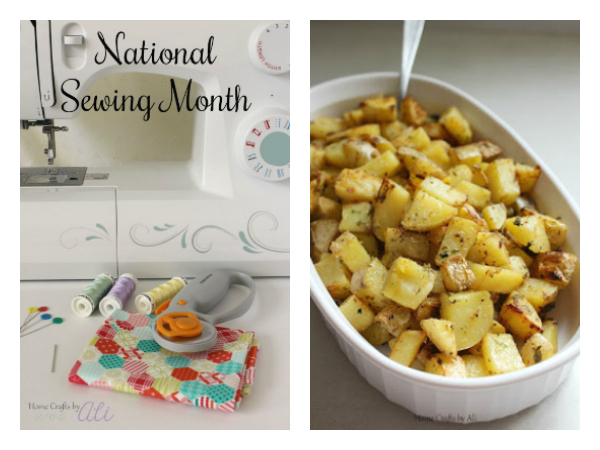 Celebrate National Sewing Month by entering the giveaway for sewing supplies on my blog. Good luck! In my post about The Art of Quilting, you will see photos of beautifully designed quilts that were on display at a museum as well as some of the daily used quilts in our home. With September being National Sewing Month, I thought it would be fun to host a giveaway for sewing supplies that you, my wonderful readers, will love! Celebrate National Sewing Month with me and enter to win sewing supplies you can use for so many different projects. 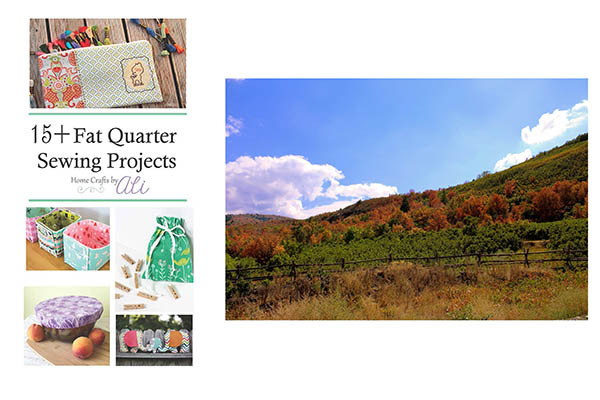 This year for National Sewing Month, I have shared 15+ Fat Quarter Sewing Projects that are fun and cute, a list of some of my favorite Sewing Books, and a look at the Art of Quiltmaking. There are so many different ways to practice your own creativity, and just as many ways to enjoy the art that others envision and produce. One beautiful creative outlet is quilting. Stitching lovely fabrics together to make a soft and comforting quilt in a design that is eye pleasing takes a lot of time and talent. I love to look at quilts and can appreciate the talent of those who take the time to make quilts. I have made simple baby quilts for my children that are made up of squares and rectangles, but hope to one day be able to sew more detailed quilts. Happy First Day of Fall! The leaves are beginning to change colors, the weather has gotten cooler, and it's been cloudy for the past few days. 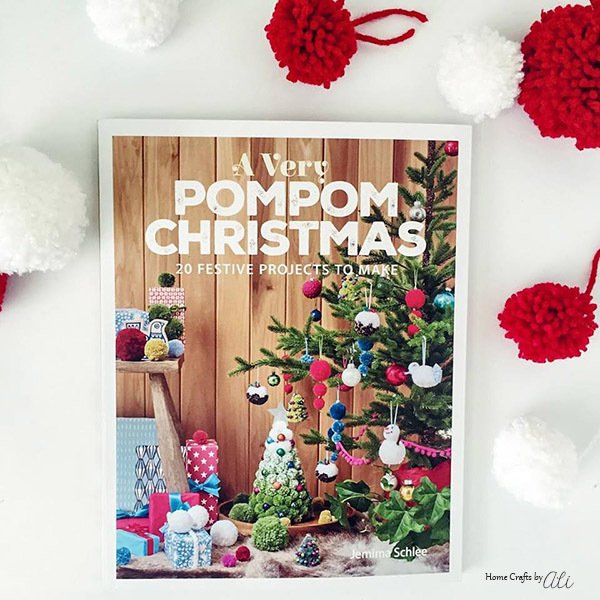 Perfect for bundling up in sweaters, curling up under a blanket to read, and finding ideas for tasty fall recipes and crafts! 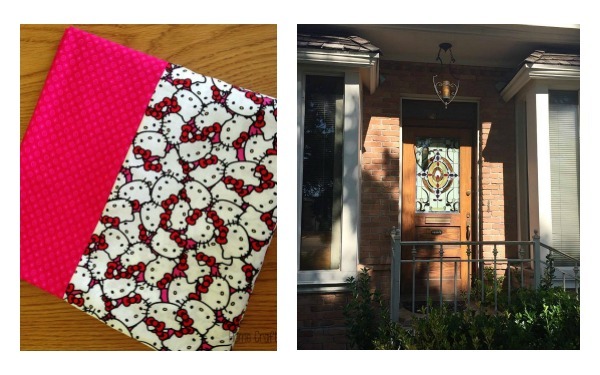 15+ Fat Quarter Sewing Projects - These tutorials will make using your cute fat quarters of fabric fun! Driving up the canyon to see the changing color of the leaves has been so nice. Take the time to get out in nature and enjoy! 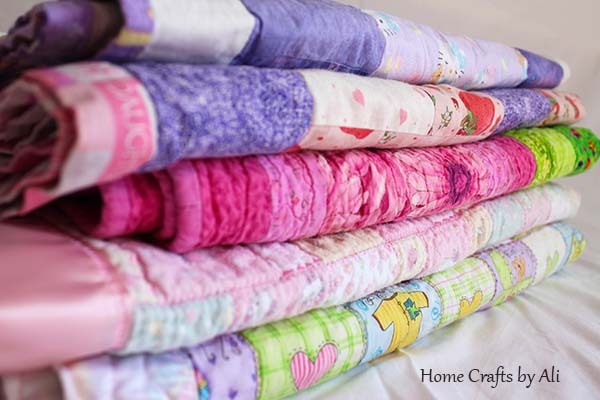 Do you have a few fat quarters in your fabric stash that you want to use? 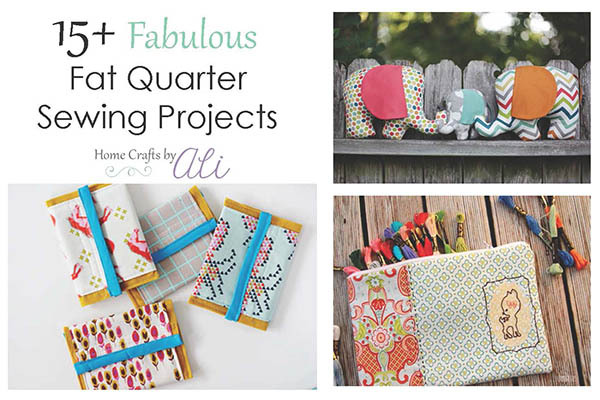 These fabulous project tutorials will make sewing with your fat quarter fun! Each time I go to the fabric store I buy a fat quarter, or two, to add to my ever-growing stash of fabric. There is something about those colorful little rectangles of cute fabric that are hard to pass by without adding a few to your cart. 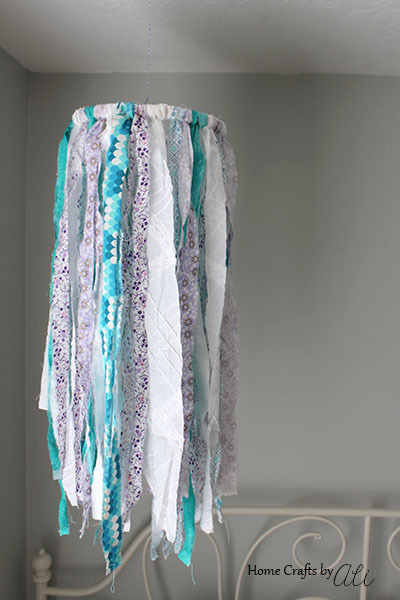 I thought a great way to celebrate National Sewing Month would be to share some easy and fun sewing projects that you can make with fat quarters. I hope you find a few that you want to try to make! Another Friday is here, and with it the promise of a relaxing upcoming weekend. I hope you have some fun plans! 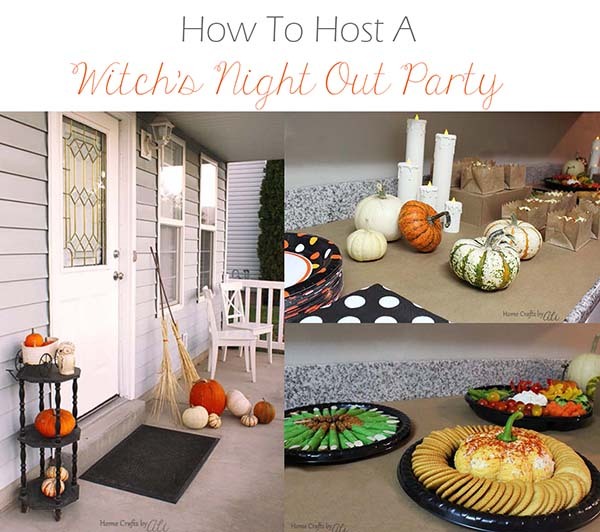 I'm looking forward to reading a book, going to a neighborhood dinner, spending time with family, and checking out the interesting pins by great bloggers being shared at this link party! I hope you find some craft tutorials, recipes, and advice that you can use in your life. 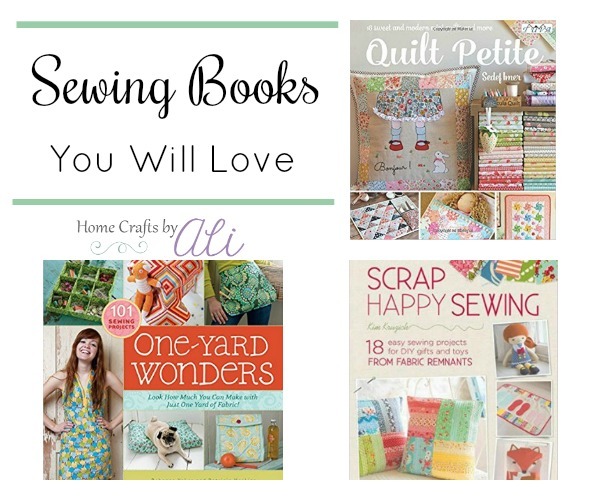 If you are looking for some fun sewing projects for all different ages, you should check out my post with Sewing Books You Will Love! There are fun projects for beginners at sewing, decor, gifts, toys, quilting, and kids learning to sew. The temperatures have dropped this week, which makes me start to think of fall soups. Check out the recipe to make this easy Slow Cooker Stuffed Pepper Soup. You will love the flavors! Sewing is a relaxing and creative hobby. You start with beautiful, colorful, and soft fabrics and end up with a finished piece that can bring so much happiness to whomever receives it. Whether you are a beginner at sewing or have experience, it's always exciting to find inspiration for a new project to sew. I am sharing sewing books you will love that have all kinds of projects, tips, and advice for your next sewing project. Sewing books will give you detailed instructions with clear photos to help you plan out your next project to work on. 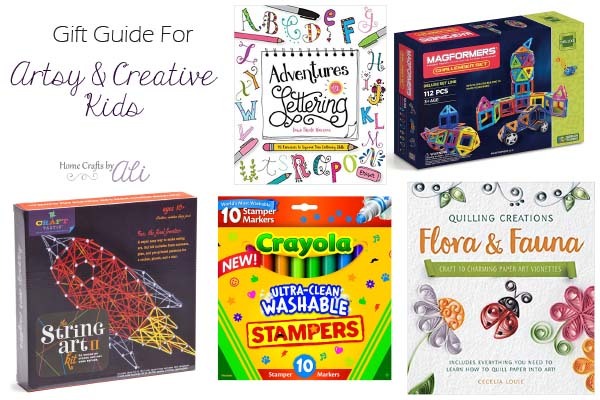 On this list, I have books for beginners at sewing, projects to make with small amounts of fabric, decor pieces, multiple types of projects, quilting, and even books that will teach children to sew. 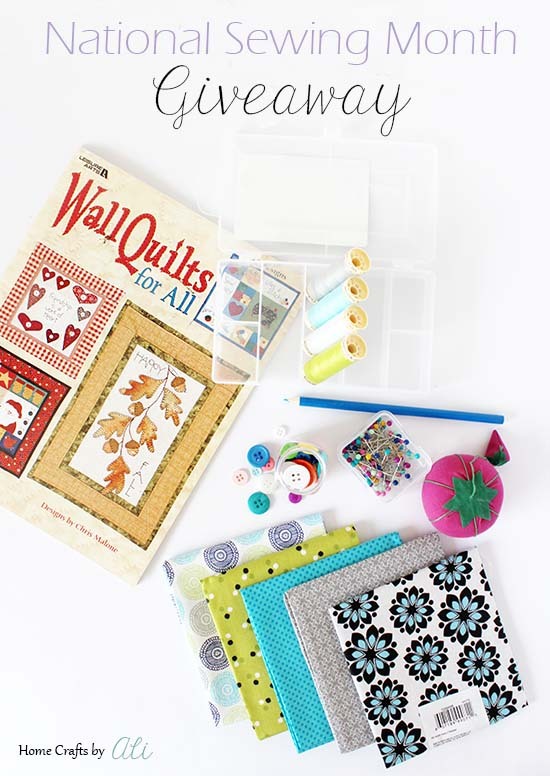 There is a little bit of everything so you will be sure to find the sewing book that is just right for you! Thank Goodness It's Friday! I'm sure I'm not the only one excited for the weekend to be starting soon! I hope your weekend is packed with fulfilling activities. I'm looking forward to a book launch party that my oldest daughter wants to attend (it's great that we share a love of books! ), checking out the farmers market for some cucumbers to pickle using my Grandma's recipe, and finding some great articles to add to my Pinterest boards from the family friendly pins that are linked up at this party! 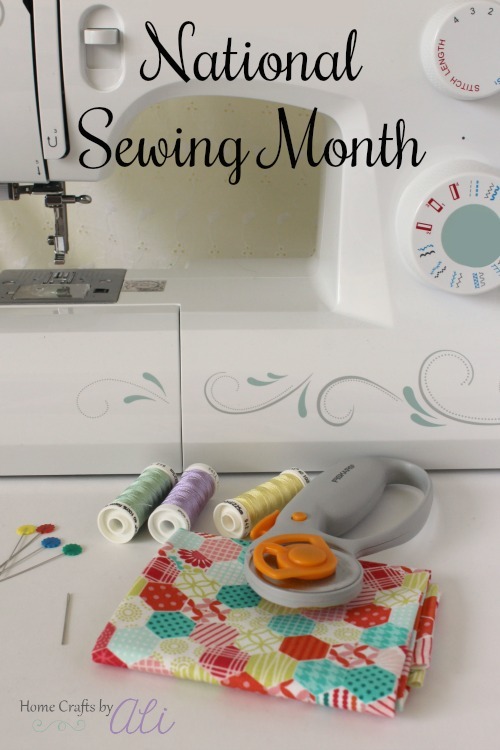 September is National Sewing Month and I'm telling you all about what kinds of posts and tutorials I will be sharing throughout the month. What tutorials are you interested in seeing? Potatoes are such a wonderful comfort food during fall...or really any time of the year. 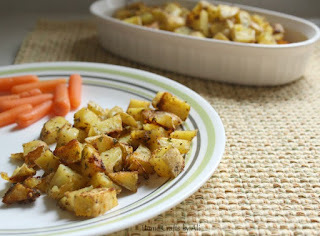 We love these Oven Roasted Ranch Potatoes - soft on the inside and slightly crunchy on the outside with bursts of flavor! Yum! September is National Sewing Month! A month dedicated to learning to sew, brushing up on your sewing skills, finding new sewing projects to try, sales on your favorite sewing items, and giveaways of sewing supplies! Happy Friday and the beginning of September! I'm looking forward to a wonderful month full of cooler weather, a trip up the canyon to see the leaves changing color, and family picnics on the weekend! What are you excited for in September? It's been a bit quiet here on the blog. I've been taking care of a family member who had surgery last month, getting back into the swing of school for the kids, and making some big plans for posts in the coming weeks. September is National Sewing Month, so be on the lookout for some fun projects that I will be sharing! 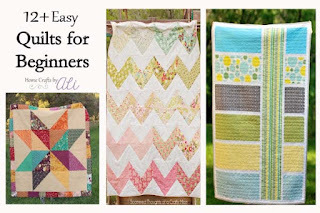 For the beginner sewist, you need a project that is easy and quick to complete. 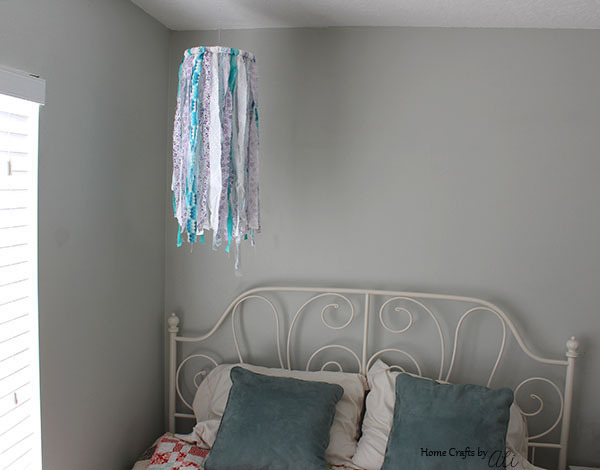 This pillowcase tutorial will be done in 10 minutes and you will have the confidence to try other projects! Sometimes it's nice to get a little break and have one-on-one time with that special person in your life. I had a lovely local weekend getaway (isn't the door at the bed and breakfast beautiful!) and will be sharing the best places to go in Provo with you soon! Another Friday is here again! I can't believe that this is the last Friday in August....where has the summer flown to? What are your fun plans for the weekend? I am going to make some Oven Roasted Tomatoes from the delicious and colorful tomatoes grown fresh in my garden! 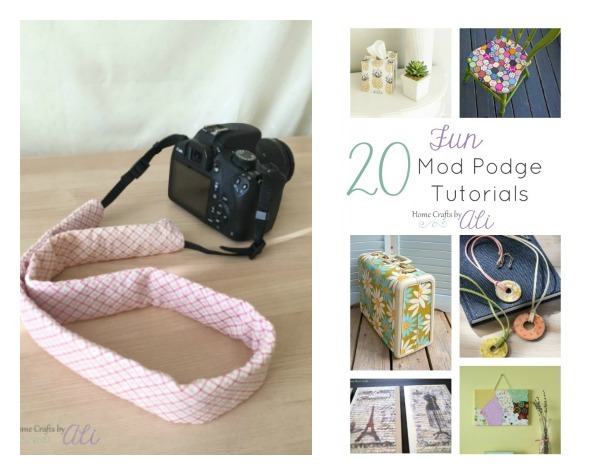 Make your own soft, cute, and comfortable Camera Strap Cover when you follow this beginning sewing tutorial. There are so many ways to use Mod Podge in your craft or decor projects. 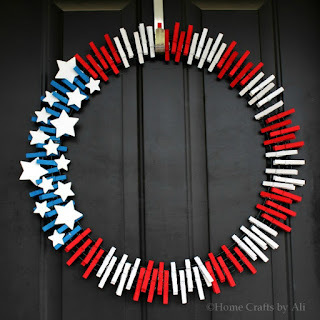 Check out 20 Fun Mod Podge Projects I found for your inspiration! Happy Friday once again! I hope that you had a great week and have some fun plans for the upcoming weekend! School starts next week for the kids here, so we are finishing up last minute shopping for school supplies.